Neonicotinoid pesticides — known to be harmful to bees — are present in 75% of honey samples from around the globe, per a new study. The big picture: The detrimental effects of these pesticides have been observed in multiple studies of bee populations in the United States and Europe, but this study is the first to find neonicotinoids are present all over the world. 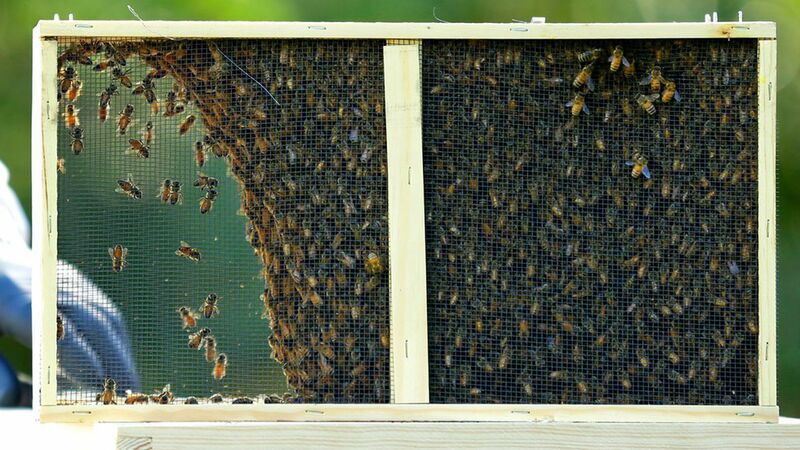 There is "no place in the world" safe from contamination for bees, Alexandre Aebi, one of the researchers, told Axios. The pesticide, from Axios' Erin Ross: Neonicotinoids have been in use since the 1990s. They can be sprayed on a plant, but they're generally coated on seeds and then taken up by the plant and expressed in their leaves. The pesticides were thought to be environmentally friendly because they're only supposed to harm insects that bite the now-poisonous plants. But they can also be expressed in plant pollen, which is how bees are exposed. The study: Scientists conducted their research as a citizen science project, taking contributions from amateur scientists around the world. They found an average neonicotinoid concentration of 1.8 nanograms/gram in honey samples. The pesticide begins to show harmful effects in bees at a concentration of 0.1 nanograms/gram, but the European Union puts the toxic level for humans at 10-15 nanograms/gram, Aebi said. What's next: Aebi said the world should follow the example of France, which is banning the use of neonicotinoids starting in 2018. But it's worth noting that though the study shows that neonicotinoids are present in samples worldwide, there isn't yet corresponding evidence that bee populations in areas outside the U.S. and Europe are in decline, even though the science suggests they are, says conservation biologist Jeremy Kerr.